Grete Kalla Priechenfried (German, 1900 – 2002), Cavalier In Scarlet, oil on canvas, signed upper right corner, 18.5 x 14.5 inches, framed in a gilded and scrolled French style frame measuring 27 x 23 inches. Grete Kalla Priechenfried was a German visual artist who was born in 1900. 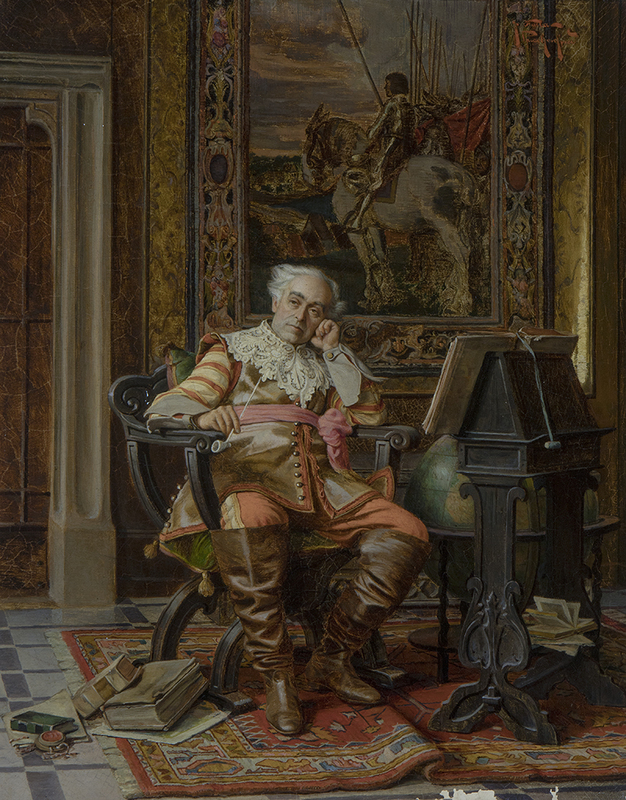 Several works by the artist have been sold at auction, including ‘Lost in thought’ sold at Bonhams Knightsbridge ‘British & Continental Pictures ‘ in 2011. The artist died in 2002.